With the ongoing blockade and escalation of violence, Gaza is already stretched to the limit. 38% of people live in poverty. 54% are food insecure. Over 75% rely on humanitarian assistance in order to survive. Over 90% of the water is undrinkable. And the Gaza medical crisis means one third of essential medicines are out of stock. Home to over 2 million people, Gaza is one of the world’s most densely populated areas, with over 5,000 Gazans living in one square kilometre. In 2012, the United Nations warned that the region could become uninhabitable by 2020 based on indicators that have worsened since the report was issued. Gaza needs our help now. Human Appeal has been working across Gaza and the West Bank for over 10 years, running programmes to alleviate the suffering as the conflict continues. Last year alone, we helped over 300,000 people by providing lifesaving emergency aid and crucial health, shelter, food, livelihood, water, hygiene and sanitation support. Yet this is only possible with your ongoing support. Human Appeal is currently on the ground providing vital equipment for intensive care units and operating rooms, as well as renovating the CT Department at Shifa Hospital and establishing desalination plants for three major hospitals. 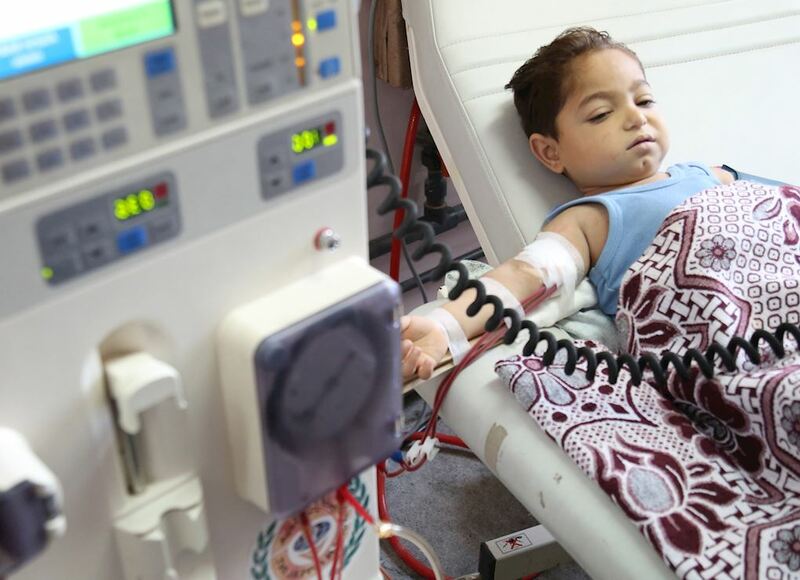 We now need your help to further alleviate the Gaza medical crisis by providing life-saving medical aid to 14 hospitals and 54 primary healthcare centres. £100 provides vital emergency medical aid, including hospital beds, surgical equipment and medicine to save lives. £80 provides first aid kits to families in high-risk areas, with over fifteen items for treating burns, fractures, injuries and bleeding. Each family will also receive training on the use of these essential kits. £65 provides a family-of-five with enough nutritious food to last one whole month.